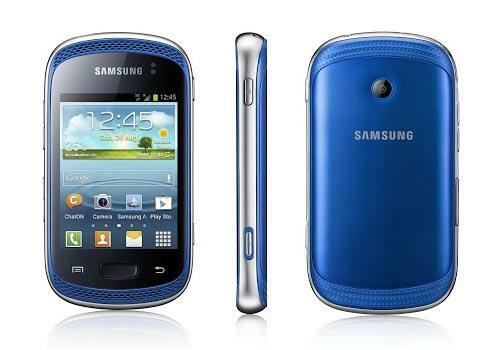 Samsung recently announced Galaxy Music, a new Android phone that aims at music lovers. If you want to know what features have been packed into the smartphone, let’s go on checking. 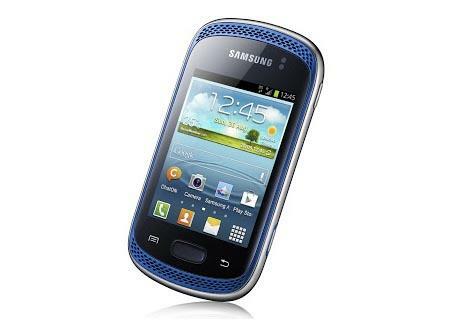 Samsung Galaxy Music is a 3.0-inch Android phone that measures 110.1 x 59.0 x 12.25mm and weights 106.9g. The smartphone runs on Google Android 4.0 Ice Cream Sandwich mobile operating system, and come with 512MB RAM, 4GB internal storage, a 3.0-inch QVGA TFT display with 240 x 320 pixel resolution, a 3-megapixel fixed-focus camera without flash, WiFi, Bluetooth 3.0 technology, and 1300mAh rechargeable battery. Moreover, as a music based smartphone, Samsung Galaxy Music also features dual frontal stereo speakers for high quality sound, integrated FM radio and advanced audio features such as Sound Alive & SRS, and its Music Dedicated key allows you quick and convenient access to the music player for music playback. Apart from that, the Android phone supports HSDPA, HSUPA, EDGE/GPRS/ network standards. Samsung hasn’t unveiled the detailed pricing and release date, but Galaxy Music Android phone will be available in a dual-SIM version called Galaxy Music Duos. If you’re interested, jump to Samsung official site for more details.